Private home (sleeps 10) with fabulous view of Baldy Mountain and ski area from hot tub on deck. Close to ski area (3/4 miles) and the town of Breckenridge. Discounted rates with private owner. Great hiking & bike trails nearby. Please inquire for further details. Perfect place to stay for a ski trip! We loved it! What a great place. Close enough to town but far enough to feel secluded. We are leaving here tomorrow and are sad. This cabin and Breckenridge provided us a quaint, homey and snow- filled Christmas. The 8 of us (3 generations) traveled from London, DC, Chicago and San Diego and it was worth every effort getting. Santa even provided snow every other day and on Christmas Eve! The owners were very easy to work with and had a quick response to every communication. The large hot tub on the deck was the "icing on the cake" for family memories. Thank you Jake! Our Iowa clan loved this place! 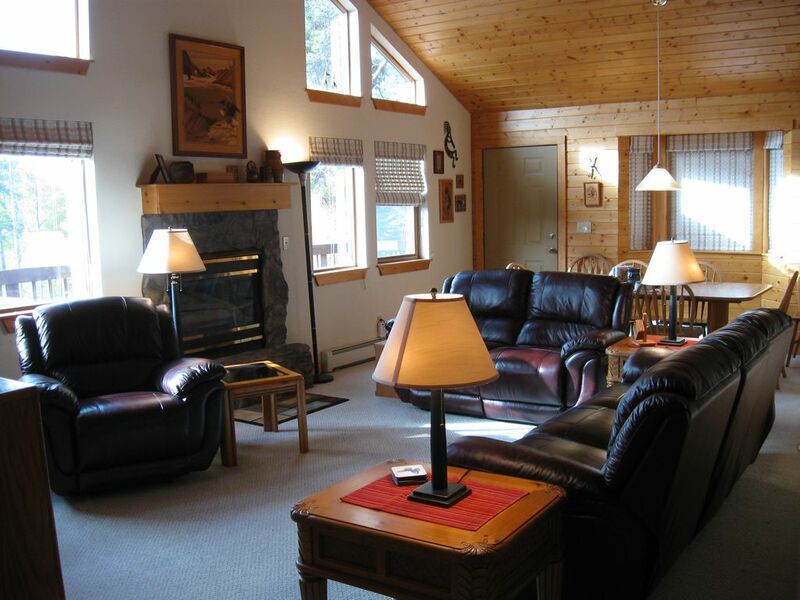 Very cozy and easy to get to and loved how close it was to the ski hills! We had 8 people and everyone fit and slept comfortably. Hot tub was an added plus after the slopes! We would rent this home again. We have a group of 8, all of us early 30's and the house was great. Close to the mountain and very cozy. The owners son stopped by the first day to make sure everything was ok. The hot tub was ready to go when we got there and the house was nice and clean. Couldn't ask for a better experience.